Next up in our "Meet the Stylists" series is Adrianne Brooks of Whiplash Beauty. Next up in our "Meet the Stylists" series is Adrianne Brooks of Whiplash Beauty. Adrianne has been in the wedding business for six years, and in 2013, she opened Whiplash Beauty. She's worked on all sides of the beauty industry, and she talked with us about prep work, the best part of being a stylist and what she does when she's not working. Let's take a look into the life of Adrianne Brooks. Before becoming a makeup artist, I worked in corporate product development before venturing out on my own to create a cosmetics manufacturing company. I eventually sold the cosmetics manufacturing company and went to beauty school and now have come full circle in the beauty industry! How would you describe your beauty style? My beauty style for my clients is fairly natural — the complete opposite of my beauty style. 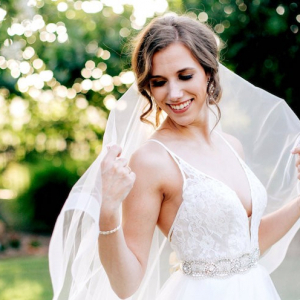 About 85 percent of the weddings that we do are out-of-state brides, and the majority request a natural bridal look. So we have worked really hard to tailor to the natural side of beauty to enhance the beauty of a "Natural State" wedding. But don't get me wrong, we LOVE the glam side, too! What are details you especially pay attention to with a client? My main focus is to really hear what my clients are saying. This includes a lot of reading between the lines in what they want, what their fiancé wants and the overall theme of their wedding. 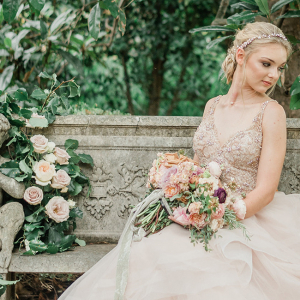 We always do a trial beforehand to work out issues in their look and to make sure that the bride and her fiancé feel 100 percent confident in their day-of look. I love the people that we have the honor of working with. 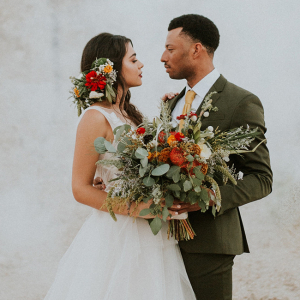 This is one of the biggest days of their lives, and it is a huge responsibility to me and my team to make sure that they love their wedding look and feel amazing. The look on a bride's face when she sees herself all put together to meet her groom is the most accomplished feeling that you can have! What's one piece of advice you like to give brides on their big day? To relax and let us do our job. It is our responsibility to work with the coordinators, family, maids of honor, moms, etc. to make sure the day runs smoothly and to keep all the pressure off the bride. This is why we do a trial beforehand, as well. When we show up to a wedding, we like to go in as prepared as possible, and we will do all of the prep work to ensure that the day runs smoothly on the beauty end. When you're not working, what do you like to do with your spare time? More makeup! There is always someone around who wants to go makeup shopping or to try new techniques or to just discussing trends and products. My mom is into beauty as well, and she is always sending me new suggestions on products and treatments to try. My husband also owns a gym in Hot Springs, Flex Fitness, so I spend a lot of time there as well. What's your favorite way to unwind after a busy wedding session? Mexican and margaritas! Or a day on the lake works wonders, as well. 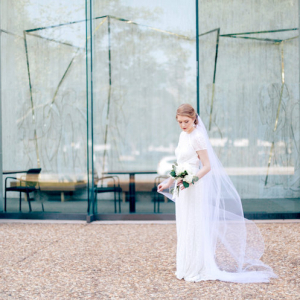 To see more of Adrianne's work at Arkansas Bride, click here!